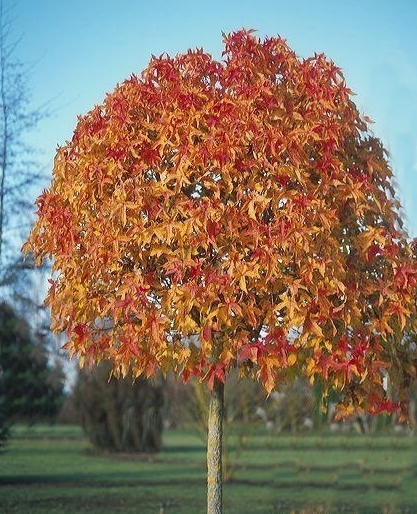 All the beauty of a Liquidambar in a compact size. Dense rounded head grafted onto a 1.8m tall standard. Autumn colour is vibrant yellow-gold then turning brillant shades of burgundy red.